This diverse collection requires numerous airings to fully appreciate its allure. 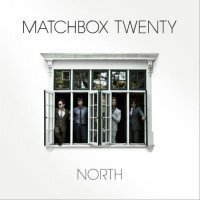 Anything but formulaic, it’s true that no two Matchbox Twenty albums sound alike; from the post-grunge angst of the debut ‘Yourself Or Someone Like You’, to the eclectic ‘Mad Season’ to the absolute Rock tour de force that was ‘More Than…’, MB20 have continually re-invented themselves with each subsequent release, and ‘North’ continues that trend. The six new songs that padded out the Best Of ‘Exile On Mainstream’ saw the band at their poppiest yet, and that trait is temperately carried on with ‘North.’ The disco beat of ‘Put Your Hands Up’ may cause the alarm bells to start ringing for some die-hards, yet it’s to MB20’s credit that they make it work within their own parameters. Yes, it sounds moderately like the aforementioned Maroon 5, but MB20 have refrained from collaborating with a Pop starlet or rap artist, subsequently rendering it far less antagonistic. The poppy ‘Our Song’ and funk-driven ‘Like Sugar’ bear more resemblance to Rob Thomas’ solo output than typical MB20, but fit consummately onto this album, with its more in-vogue approach. These three tracks aside, the remainder of ‘North’ is more conventional; opener ‘Parade’ uplifting and anthemic, tongue-in-cheek first single ‘She’s So Mean’ catchy as hell, the mournful but magnificent contemporary ballad ‘Overjoyed’ belies its title, the beautiful ‘I Will’ is a folksy acoustic ballad, the orchestral slow-burner ‘English Town’ brooding and dramatic, ‘How Long’ is catchy mid-tempo pop-rock, the addictively hook-laden ‘Radio’ hints at fifties rockabilly and is destined for the medium its title suggests, ‘The Way sees guitarist Kyle Cook (fresh from his stint with John Waite) masterfully take lead vocals for a wonderful blues-tinged ballad, and ‘Sleeping At The Wheel’ a serene yet uplifting anthem. Anybody expecting in instant fix will be disappointed, this diverse collection requires numerous airings to fully appreciate its allure. And I must implore you to obtain the Deluxe version, for while the ballad ‘Straight For This Life’ is rather despondent, the Country-Rock of ‘I Believe In Everything’ and lively anthemic rock of ‘Waiting On A Train’ are immensely worthy of inclusion. Is it reminiscent of early Matchbox Twenty material? No, and few should expect it to be. 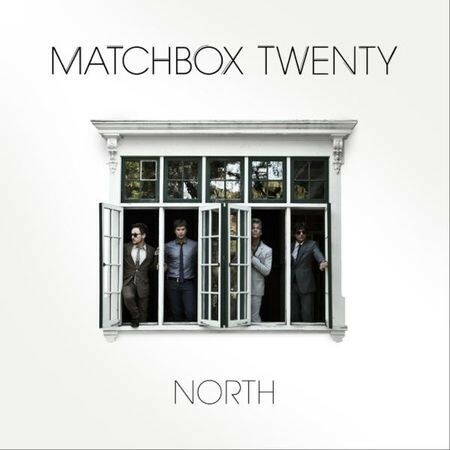 Is it Matchbox Twenty for a diverse contemporary market? Absolutely, and that’s why they’re still the kings.